Texas-area students scored well at the ExxonMobil Texas Science and Engineering Fair (EMTSEF) last week. The four-day event took place at the University of Texas at San Antonio and showcased the works of over 1,100 middle and high school students from across the state. Christ the King Cathedral School senior Lindsay Northcut took first place for her life science project and also won the Governor’s Award and Best in Show, making her eligible to represent the state at the International Science and Engineering Fair in Los Angeles. Likewise, two other Christ the King students, Sarah Wanjura and Nikolas Hines, qualified for the international fair at the regional competition in February. The three seniors all study under Alicea Chaloupka. Also, Patricia Tomacruz, a Christ the King eighth-grader received a Broadcom MASTERS Award as well and won first prize for her project on plant sciences. Ten students from Laura Bush Middle School qualified for the state competition, and two won awards in the junior division. Evelyn McCune placed first with her physical science project and won the Broadcom MASTERS Award and 2014 Best of Show. Darcy Bonds also won the Broadcom award and placed first in the environmental science category. The Exxon Mobile Texas Science and Engineering Fair is an annual state science competition for students in grades 6-12. It provides an opportunity for discourse among like-minded, high-achieving gathering together the brightest and best middle and high school students of all backgrounds from 12 regions across the state of Texas. The Fair fosters an interest in and an excitement about science, technology, engineering and mathematics while offering a rewarding competitive setting in which students can showcase their research projects and set the stage for the rest of their academic careers. But first, the participants must win their regional competitions first to earn their spot in this statewide competition. 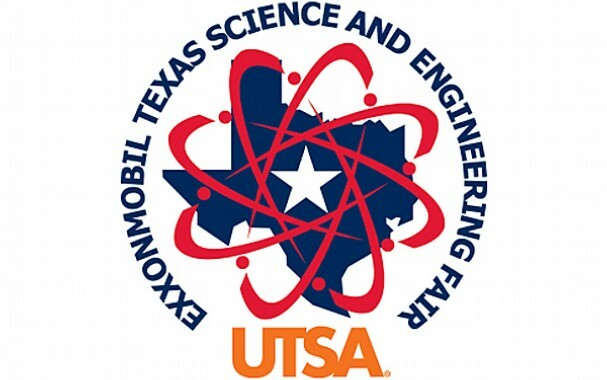 For the 10th year EMTSEF, hosted by UTSA College of Sciences, has been shown 19 project categories between life and physical sciences, more than 1,000 projects between two divisions. The fair featured more than 1,100 student participants as candidates for a Best in Show award, but also many other subdivisions offered top prizes. By the end of the fair, there were 4,000 Awards Ceremony Attendees and 20 Organizational Special Awards. The Exxon Mobile science fair will be open to the public on Thursday, March 28, 6:30PM. Judging of the students’ entries took place today, before the public viewing, and awards will be given on Friday, March 29, with Dr. Edwin Barea-Rodriguez, University of Texas at San Antonio Professor, giving the keynote address at the assembly.